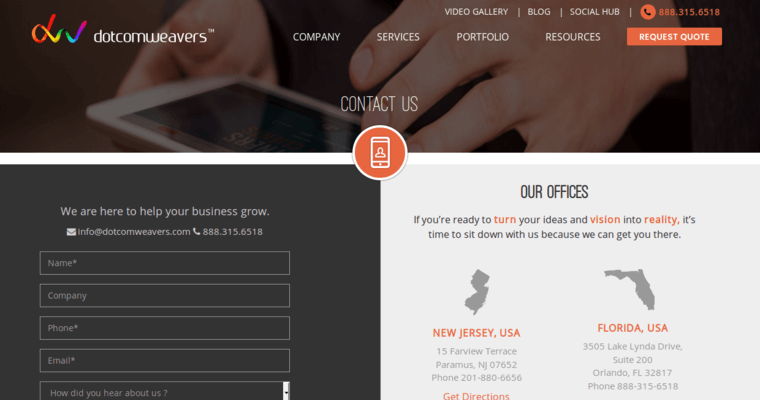 Based in Paramus, New Jersey, Dotcomweavers is a web design company that has been exceeding their customer's expectations since 2007. 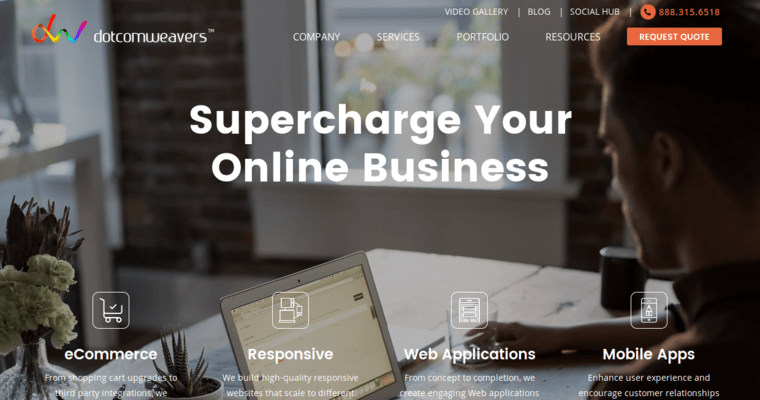 When it comes to designing websites, they believe in staying ahead of their competition, so they can keep their clients ahead of theirs. For this reason, they have been creating web designs that anticipate user behavior and utilize technological innovations even before Google required this. 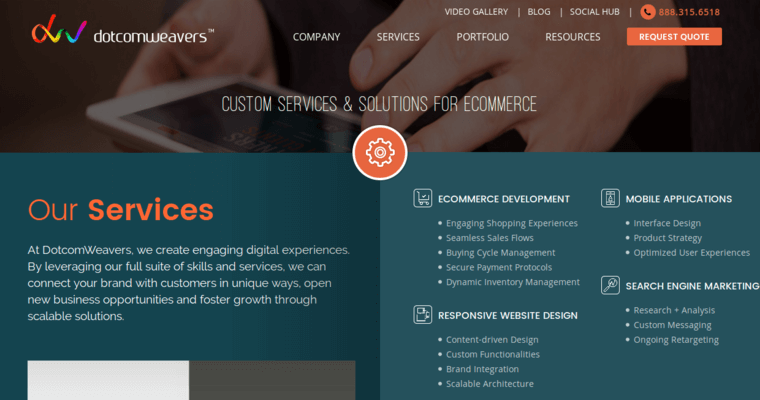 Their sites are responsive because they realize today's world is flooded with mobile devices that need to render a modern website as effectively as a PC or laptop. They follow a process with every new web development project that enables them to deliver maximum return on investment for every customer. This involves evaluating where the client is now in terms of their company, web presence, industry and competition and then coming up with and implementing a web design and promotional strategy to catapult them above the crowd.